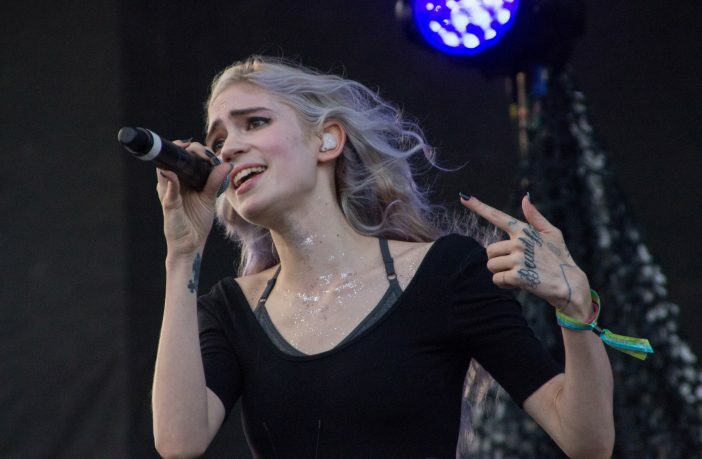 Claire Boucher, otherwise known as Grimes, has taken her entire body of work, plastered it in glitter, slapped an EDM bass drum on it, and somehow managed to get an album. Art Angels is widely divergent from her previous projects. She seems to have ditched the ethereal electronic charm of Halifaxa and Visions for a slightly more orthodox approach. Few too many of these tracks lead with superficial guitar riffs jaded with droning percussion, namely California, which is almost embarrassingly stereotypical. But, honestly, this is the most ambivalent album review you’ll read, because clusters of this LP are flawless. Venus Fly, which features Janelle Monáe, has some real drive and pulsing vigour. Again, it’s not trademark Grimes, but it is accomplished songwriting. The title track, Artangels, is vaguely reminiscent of Grimes’ earlier approach to production. It’s essentially dreamy pop coated with zealous amounts of reverb. However, there are subtle improvements. The hooks are cleaner, the melodies are catchier, and crucially, it’s original. In fact, this track represents the kind of progression I was hoping to see more lavishly spread throughout the record. 7/10 – A majority of these songs are majestic. A few are tragically cavalier. If you’re devoted to Grimes’ old style, then be prepared to loathe at least a third of this album on first listen.